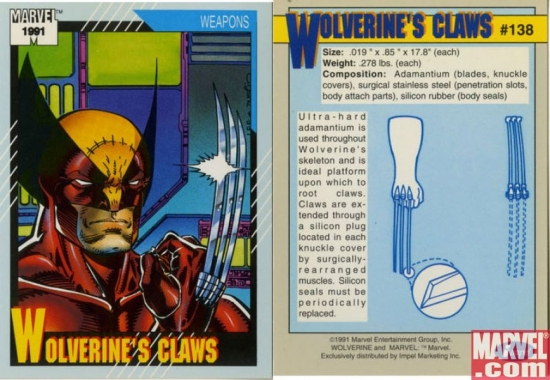 How exactly do Wolverine's claws come out? In answering this question Could Wolverine's claws be prevented from unsheathing if his wrists are bent? I couldn't find anything that actually described what caused Wolverines claws to pop out. I've seen pictures of x-rays and there doesn't seem to be extra bones to help. I would assume that there are extra muscles involved but this is never mentioned. His claws are a part of his mutation not surgically inserted like it was previously believed. So what makes them work? Seems to imply that the muscles around the claws were surgically altered to extend the claws. This was prior to the precedent of bone claws. However, I would assume that the idea of "claw extension muscles" is a safe bet. I'm not sure if this is canon, but I have found this drawing here. Is show a nice cut out technical drawing in the center that show some muscle attached to the claws to move them. This might be better as a comment on someone else's answer, but not sure which one. This exact topic was illustrated in an infographic by Daniel Mora, who is a Costa Rican artist rather well-known for his Marvel & DC art. Was going to put this as a comment in reply to Kevin Howell, but it will be longer than a comment will probably allow. Speaking from a physiology standpoint, it is going to probably act much the same as the muscles do for the leg. Your quadriceps on the front bring your leg from a bent angle to a straight angle, and the hamstrings in the back do the opposite. So I would surmise that (surgically rearranged or not), there are opposing sets of muscle/tendon complexes (tendons connect muscle to bone, you have anchoring tendons at each end of a muscle). One set relaxes as the other contracts, and the claws slide out. To retract, the opposing muscle contracts as the first one relaxes. This would also give a good explanation of how Wolverine is able to control the speed and individuality of the claws, much like you can make a slow or fast fist, or extend different fingers apart from each other. (With some exception in various positions for the middle and ring fingers as they share a tendon). Not the answer you're looking for? Browse other questions tagged marvel wolverine or ask your own question. How can Wolverine bend his wrists? How are Wolverine's claws still in his body? Why don’t Logan’s hands bleed when he pops his claws in The Wolverine? 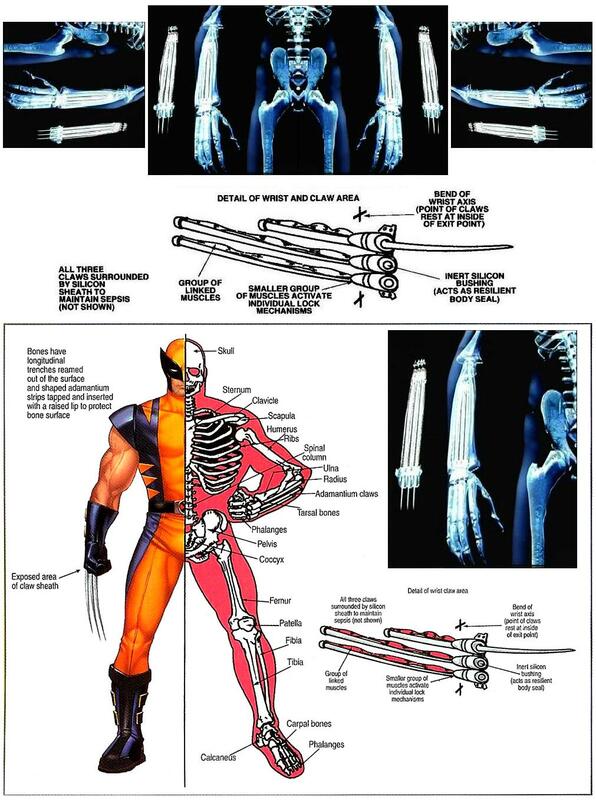 Could Wolverine's claws be prevented from unsheathing if his wrists are bent? Has Wolverine ever changed the silicon seals in his hands? Do Daken's (Wolverine's son) Muramasa claws wound him when they come out? Do Wolverine's opponents bleed (and leave blood on the claws) in comics? How were Wolverine's memories “implanted”? Where do Wolverine's claws go? How sharp are Wolverine's claws?